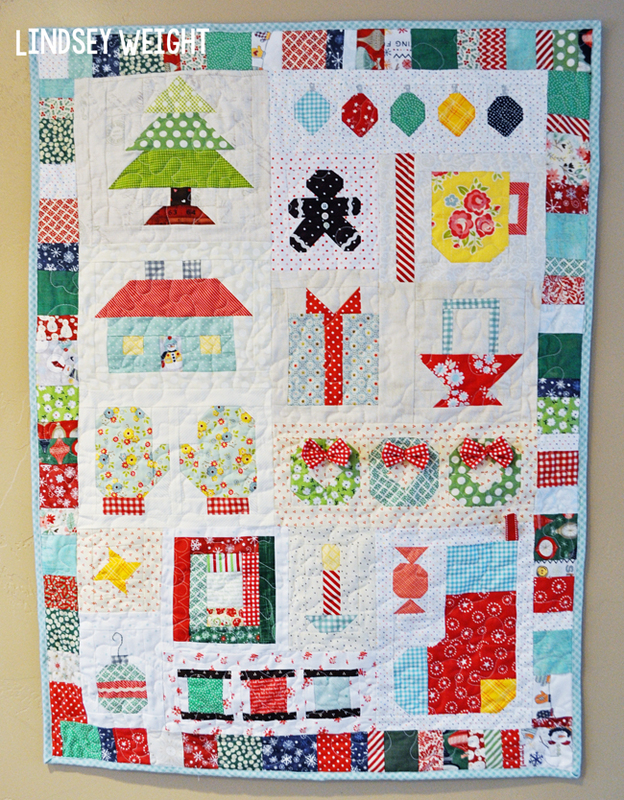 I had a lot of fun making this quilt. 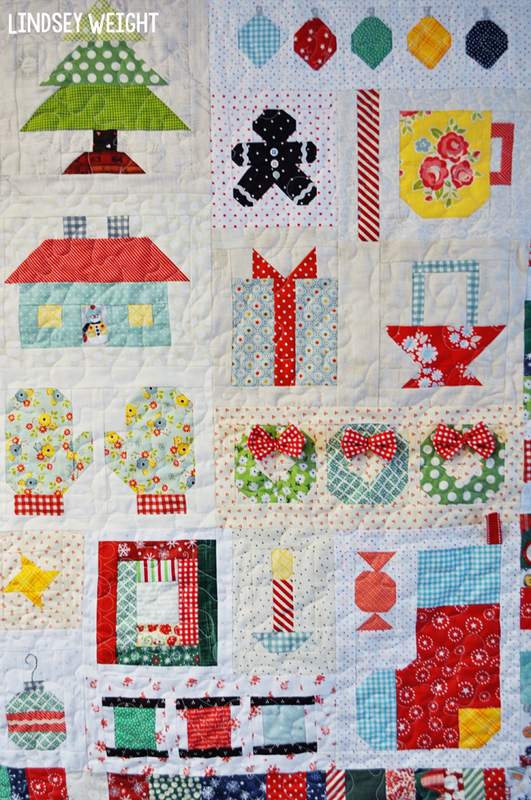 It was so fun to watch everyone's progress on Instagram and I am so glad Lori shared this pattern with us! I hung this up in my kitchen so I can stare at it all the time! :) I can see it from the living room and also when I'm baking or cooking in the kitchen! I figured I spent so much time on it, I better enjoy it as much as possible! 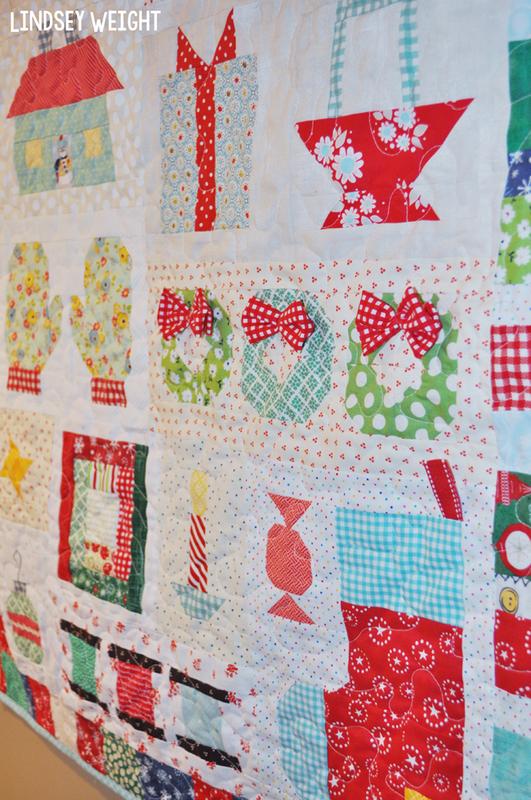 My favorite blocks from the quilt are the wreaths and the stocking. I love the bows on the wreath, and I just love how my stocking turned out! 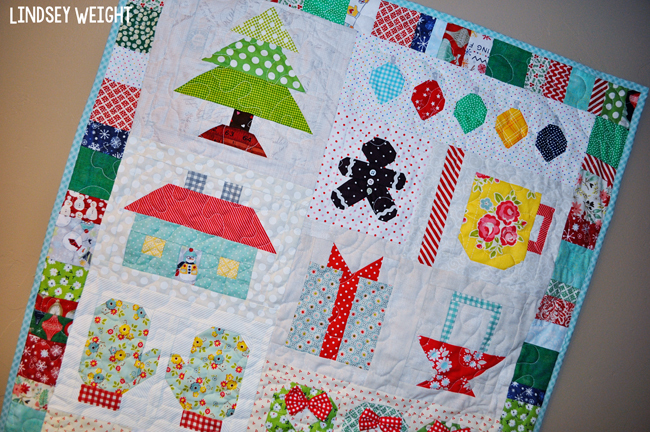 It was so much fun making this quilt! I am glad I got it done so I could enjoy it throughout December! What a sweet wall hanging. I can only imagine the trouble with your quarter inch being different on the two machines. Often I end up with a different quarter inch measurement with blocks using the same machine :P I love all the details and the 3D fun on this project, great finish. I love how yours turned out Lindsey!